Lose yourself in our inspiration gallery and imagine the possibilities. 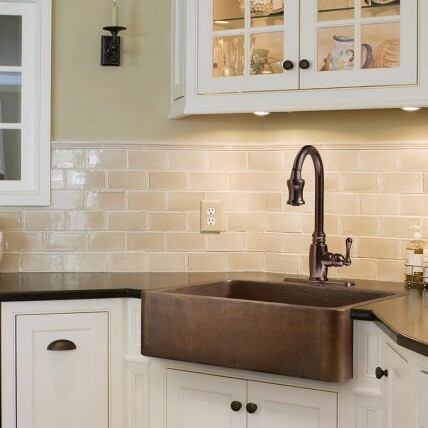 Copper is a living finish and will age gracefully overtime, developing a unique patina depending on the climate, exposure, handling, cleaning, and waxing routine that is established. To keep this finish close to its original luster, general cleaning guidelines are recommended, as well as a semi-annual wax routine. The Travis Team is proud to partner with Ferguson Enterprises to bring you quality bath kitchen, and lighting products for your home. 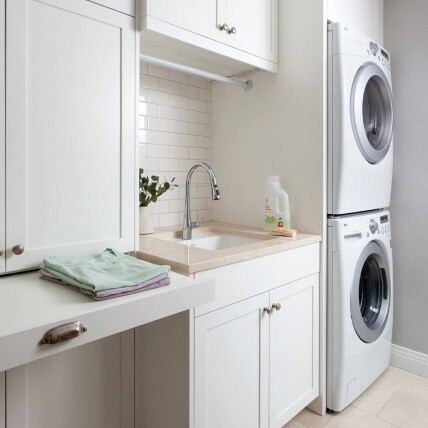 An L-shape laundry room is a functional room layout as it allows the option to place the laundry sink on one side of the L and the washer/dryer on the other side. 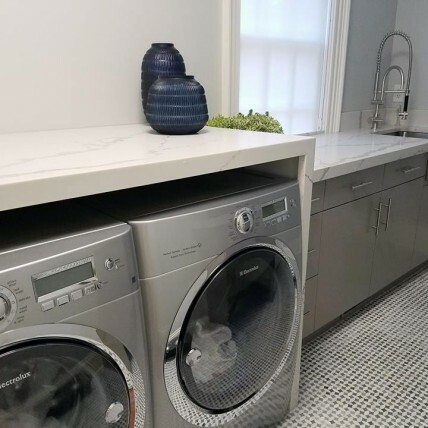 This layout will not only give you extra counter space for tasks such as folding, but it also allows for space for upper and lower cabinets. 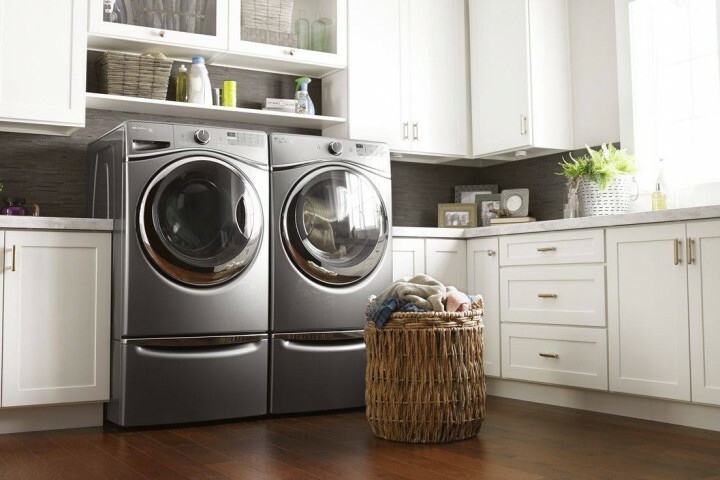 We all know that storage is key for a laundry room! There are times your garments need a bit more care and preparation before they can be laundered. 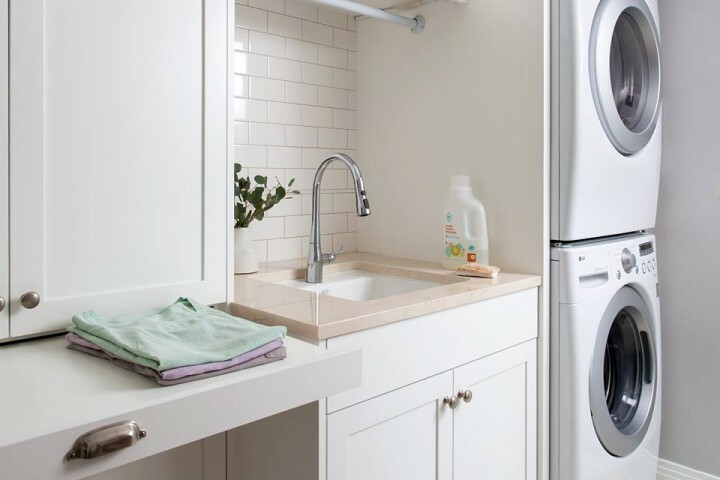 To help pre-treat tough stains, consider including a prep sink and a pull-down faucet with a toggle spray. 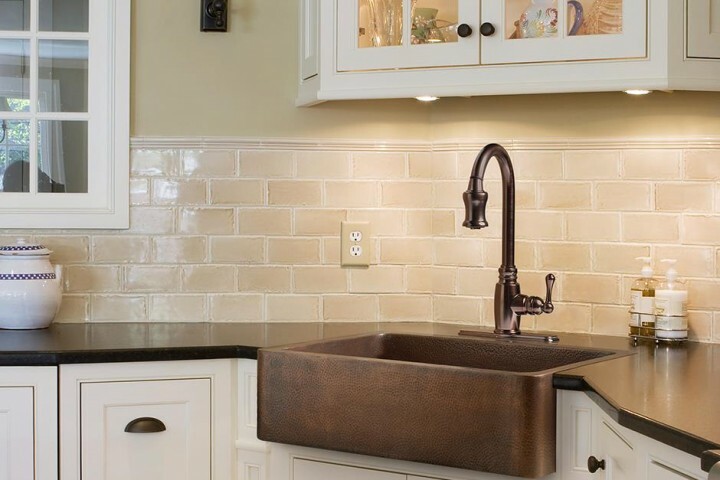 A stainless steel sink will stand up to harsh chemicals and will retain a pristine look. 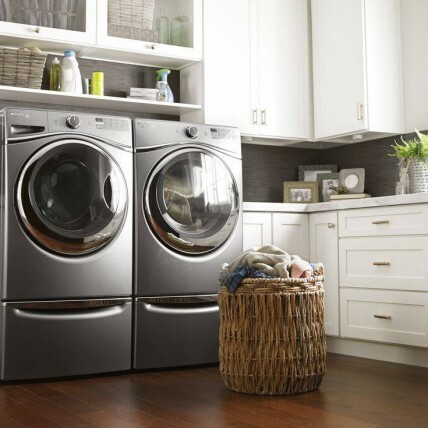 Tips from the Pros: Many homeowners enjoy the space-saving aesthetics of a front-load washer and dryer, as the configuration also allows for stacked placement in narrow spaces such as a hallway closet, kitchen alcove or basement nook. However, top-loading machines may be a better choice if bending or deep kneeling is an area of concern. 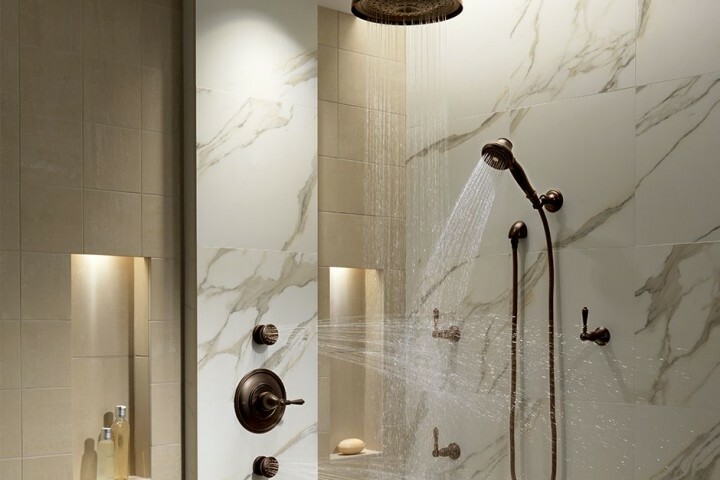 When considering a custom shower design, it is important to determine how much water you will need. 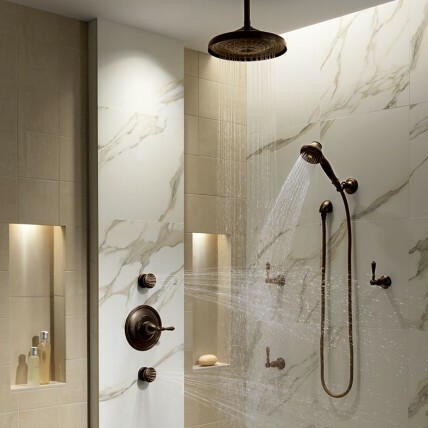 While a standard shower faucet may use 2.5 GPM of water, a custom shower system may use 12-15GPM or more. 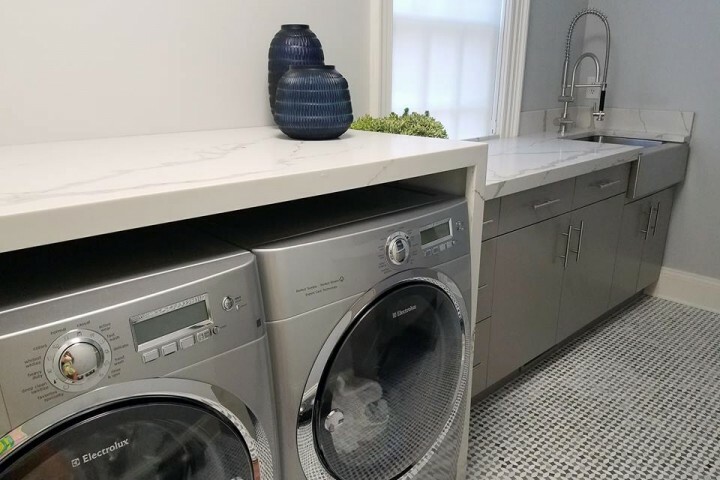 If you're not sure how much water you will need, we recommend consulting with your contractor and determining the answers to these four questions.